The Bird of Paradise plant is a very beautiful, exotic tropical native to South Africa. The scientific name is Strelitzia reginae. This showy plant with its banana-like foliage makes excellent large indoor plants -- the perfect specimen for capturing that tropical feel inside or outside in the garden. The plant has bluish-green leaves which has a petiole (stalk) and an attached red-edge bract (leaf). The plant resembles a long neck bird with a sharp beak crested with uniquely shaped blue and orange flowers that look like plumage on top of the bird's head. This is why the plant is also known as the "Crane Flower." 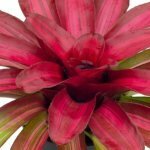 It is an elegant, strikingly unusual, colorful plant that is very popular with designers for gracing homes and offices. 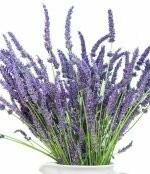 These large indoor plants are ideal as they grow up to 5 feet tall. Plus, its tough and leathery bananalike leaves add texture and interest. A plant such as this would make a wonderful focal point or look fantastic in a corner even without blooms. This would be the recommended plant for a sunroom or a green house because it needs plenty of light. Even in the dead of winter when it's dull and dreary it can remind you of the breathtaking beauty and warmth of a sunny tropical island in Hawaii or the Carribean. The plant is a true joy to look at when in bloom as it has the appearance and action of a bird that is in flight. Light: Provide lots of sunlight for growth and flowering. A sunny east or south facing window will accommodate light requirements. Water: Water thoroughly and pour out any excess water that seeps into the drainage dish, then allow the potting soil to slightly dry out before watering again. Potting Soil: Use a quality peat-based potting soil. The soil needs to be kept moist all spring and summer; however, you must allow the soil to dry out slightly between watering in the fall and winter. Temperature: Daytime temperatures of 68°-72° and night temperatures of 50° to 55° are optimal. Avoid temperatures below 50 degrees. 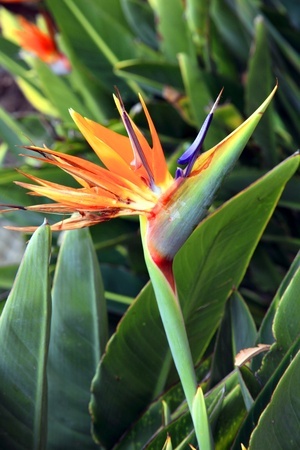 Fertilizer: Feed your Strelitzia reginae every other week during spring and summer when they are actively growing. Apply liquid such as Schultz's Instant Plant Food or a water-soluble fertilizer. Propagate: Propagate from seeds or mature plants that have bloomed for a year or two. Container: Grow your plant in a big container with casters, so it can easily be moved outside on the patio or balcony to enjoy seasonal warm temperatures and sunshine. Then, be sure to move it back before season changes and temperature drops below 50 degrees Fahrenheit. Pest: Check plant for mealybugs and scale on the undersides of leaves; if founds spray with insecticidal soap. In conclusion, with a little tender loving care, a Bird of Paradise plant (Strelitzia reginae) will definitely make a wonder addition to your collection.